There was sad news from Israel today with the announcement that former Liverpool defender Avi Cohen had died from injuries he sustained in a motorcycle accident last week. Avi’s son, Bolton midfielder Tamir Cohen, gave the news at a press conference at the Ichilov Hospital in Tel Aviv, Israel, where his father had been in intensive care since the accident on 20th December. 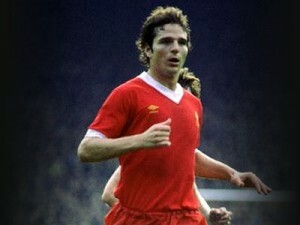 Reds legend Kenny Dalglish paid tribute to Avi following the news, recalling the defender’s popularity with his teammates: “Avi was a very popular guy in the dressing room,” said Kenny. “He was a good lad and adapted very well into the Liverpool way of life and got himself involved in the humour in the dressing room. The 54 year old was signed for Liverpool in 1979 by Bob Paisley and although he never established a regular place in the side he did establish himself a place in Liverpool’s history, fondly remembered for helping secure the 1980 league title in a game at Anfield against Aston Villa. Kenny remembers the day well: “Avi scored two goals that day. Avi had been watched by Liverpool for some six months when the club invited him to spend a week training with the Reds. He made his debut early in 1979-80 season, when Ray Kennedy was absent, but that was his last league appearance until the back end of the season when he came off the bench against Stoke City. This appearance was soon followed by that Villa game for which he’ll probably be best remembered by Liverpool supporters. He joined Liverpool at a time when the club had outstanding players in every position and when rotation was unheard of. As a result he never managed to get himself a regular starting place in what was one of the greatest teams in football history. But he’ll always be remembered by Liverpool supporters worldwide. Like all Reds, we send our condolences to Avi’s family and friends. Next Next post: Reds v Wolves: Gerrard back, but where does he start?